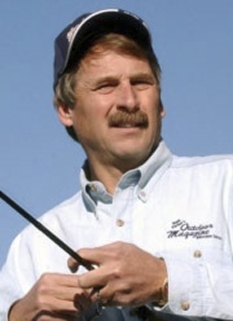 Hank Parker is one of the most famous and popular bass fishermen in the United States. Hank Parker has been called "The Michael Jordan of Fishing. In 1979 and again in 1989, the native of Maiden, NC won the Bassmasters Classic, the biggest event in his sport. For years, Parker has hosted Hank Parker Outdoors. The program now airs on the Outdoor Channel; it has previously aired on Versus (formerly OLN/Outdoor Life Network),ESPN and TNN, The Nashville Network (now Spike TV). He was also featured as an opponent in the video game released for the Super Nintendo entitled "Bassin's Black Bass with Hank Parker." In the game, the player must earn their way onto the pro bass fishing tour, where they compete against Parker. Parker lives in Denver, North Carolina, along the shores of Lake Norman. He has two sons, Hank Parker Jr. and Billy Parker, who have both driven in the NASCAR Busch Series. Hank Jr. is a two-time race winner and is now a test driver for Roush Racing. Billy has the appropriate nickname "Catfish." The sons also join him for another outdoors show, called Hank Parker 3-D; that show focuses on hunting rather than fishing.Network),ESPN and TNN, The Nashville Network (now Spike TV). He was also featured as an opponent in the video game released for the Super Nintendo entitled "Bassin's Black Bass with Hank Parker." In the game, the player must earn their way onto the pro bass fishing tour, where they compete against Parker. Parker lives in Denver, North Carolina, along the shores of Lake Norman. He has two sons, Hank Parker Jr. and Billy Parker, who have both driven in the NASCAR Busch Series. Hank Jr. is a two-time race winner and is now a test driver for Roush Racing. Billy has the appropriate nickname "Catfish." The sons also join him for another outdoors show, called Hank Parker 3-D; that show focuses on hunting rather than fishing. DISCLAIMER: PFP Sports Talent Agency does not claim to represent itself as the exclusive agent for Hank Parker. PFP Sports Talent Agency is a booking agency that represents organizations seeking to hire pro athletes and sports personalities such as Hank Parker for speaking engagements, personal appearances, product endorsements and corporate entertainment. Fees on this website are estimates and are intended only as a guideline. Exact fees are determined by a number of factors, including the location of event, the talent’s schedule, requested duties and supply and demand. PFP Sports Talent Agency makes no guarantees to the accuracy of information found on this website and does not warrant that any information or representations contained on this website will be accurate or free from errors. We are often asked how can I find out who is Hank Parker's agent? To find Hank Parker appearance fees and booking agent details, you can contact the agent, representative or manager through PFP Sports Talent Agency for speaking fee costs and availability. PFP Sports Talent Agency can help your company choose the ideal sports personality for your next marketing campaign. To hire Hank Parker for an appearance, speaking event or endorsement, contact Hank Parker's booking agent for more information.